An add-on is the purchase of a company by a private equity firm or strategic buyer in which the acquired company becomes part of an existing company. In the case of private equity, add-ons are sought out to add value to their platform or portfolio companies. Companies might also seek out add-ons themselves as a means of inorganic growth prior to sale. In this primer, we’ll define and discuss add-ons and their valuation relative to platform companies. 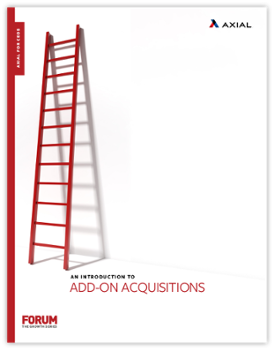 We’ll also cover five ways add-ons boost ROI and five common pitfalls that derail add-on acquisitions.